With a long list of medium and large-scale commercial air conditioning Brisbane projects under our belt, H&H Commercial Air Conditioning Brisbane has developed procedures essential to effectively running commercial installation and air conditioning services of any scale. Commercial air conditioning projects differ greatly in their requirements, approach and engineering complexity, when compared to domestic projects. With an experienced team of engineers behind them, our commercial sales managers are available to consult on any project from small kiosks and cafes to shopping centres and industrial complexes. Their knowledge and understanding of both commercial air conditioning units and their varying commercial environments keeps the consultancy process as short and concise as possible whilst making certain that all the elements of the job have been taken into consideration. H&H Commercial Air Conditioning Brisbane now have multiple varying scale commercial split and ducted air conditioning projects completed around Brisbane, the Sunshine Coast and greater South East Queensland. These projects include ongoing scheduled maintenance of commercial systems through to full design and construct as well as implementation of mechanical services. To see some of our completed commercial projects click here to view them in our commercial projects gallery. Commercial air conditioning takes system engineering to a whole different level compared to that of residential systems. From shopping centres to warehouses, commercial air conditioning requires an experienced team of engineers to consider a huge number of aspects that make running and maintaining commercial air conditioning somewhat of a challenging feat. When the quality and design is overlooked in Brisbane commercial air conditioning, businesses can suffer detrimental effects because there are a number of employees and customers at stake. This is why it’s essential to employ commercial air conditioning specialists with superior knowledge and understanding of commercial split and ducted systems. #1 Why Is Commercial Air Conditioning Different From Residential? #1 Why Is Commercial Air Conditioning Brisbane Different From Residential? The main factor that makes commercial and residential different is the power factor. The amount of power needed to run commercial air conditioning is much higher. In addition to a large amount of space to heat and cool, commercial systems need to cater for a lot more people and a lot more heat emitting appliances. Think about the number of people in a single office as well as photocopiers and computers, then consider the eat that each person and appliance are giving off. The same goes for a shop. This body heat contributes to the heat in the atmosphere and the air conditioning has to work hard to remove and replace it with cool air. The other difference when it comes to commercial and residential has to do with the condenser/compressor units. Residential ducted units commonly have an outdoor compressor and a unit in the ceiling which are connected to ductwork. Split systems have a compressor unit outside which is connected via pipes to the indoor wall unit. Commercial systems on the other hand commonly have package units placed on the rooftop. As space is usually limited, this is the best use of space and also reduces exposure to noise. Package units placed on the rooftop makes them easily accessible for repairs. But, as we will explain further on, conventional ducted systems can also be used. Lastly, have you ever noticed that residential systems usually only have one point of drainage with a single condensate pan? Because commercial systems usually have multiple units, they also need multiple pans and drainage pipes. This ensures that there is no overflow. #2 What Systems Are Used In Commercial Air Conditioning? #2 What Systems Are Used In Commercial Air Conditioning Brisbane Projects? There are varying factors which will determine the type of system used in a commercial layout. As an example, in a recent warehouse to office conversion H&H Commercial Air Conditioning Brisbane used Temperzone high static package units for the middle and upper floors because there was no ceiling space with the package units being placed on the rooftop. The middle floor was serviced via ductwork which was run over the exterior of the building but which integrated with the façade of the building. The lower floor used conventional Actron Air Split ducted systems. A Mitsubishi Electric Bulkhead ducted system was then used to service a fully glazed meeting room. #3 What Challenges Are Faced In Commercial Air Conditioning? #3 What Challenges Are Faced In Commercial Air Conditioning Brisbane Projects? With commercial air conditioning facing the challenge of having to cool more people, more space and deal with more heat generating appliances, commercial air conditioners need to be sized properly. Sizing Brisbane commercial air conditioners can be challenging. It takes a certain level of expertise to ensure the correct size. Depending on the business type, consideration must be made as to the number of people, layout and in instances like shops or restaurants, things like refrigerators and cooking facilities that give off heat. The engineer must determine the exact level of power needed for cooling that won’t lead to draining power or short-cycling, where the system goes through fast and frequent cycles instead of the normal on and off cycles. Then comes system design and layout and maintaining an even air flow and efficient cooling and heating. As with residential systems, commercial systems also have zoning but of a more complex nature. Brisbane commercial air conditioning systems require multiple thermostats to control the temperature in different parts of the building. The correct placement of these zones ensures energy efficiency and reduces the need to cool areas that are not being used like storage rooms or empty meeting rooms. Often, established buildings are poorly designed which makes it even more challenging for the engineer to design a system that will counteract the building faults. Often it’s easier and cheaper in the long term for the building owner to make a few upgrades before the air conditioning is installed. Running a business comes with expenses and running air conditioning shouldn’t be one of the biggest ones. That’s why it’s essential to consider the following things before installing or upgrading air conditioning so that your energy savings will well outweigh outlay. Lighting – Lighting exerts heat; the more heat, the harder your air conditioning system will have to work to remove it. Consider lighting that emits less heat. Insulation – Proper insulation will help to keep your business cool in summer and warm in winter. Windows – Replace single panelled windows with double or triple-panelled windows to keep cool and warm air in. Also, consider film coatings or window tinting. Roofing – Place insulation under the roof and redirect radiant energy by installing radiant barriers or consider cool roofing where the sun’s radiant energy is reflected. Walls – Avoid air and moisture infiltration through walls by using a quality building wrap and/or insulation. Slabs and foundations – Commonly overlooked, slabs and foundations can have an impact on cooling and heating efficiency and air quality. Particularly in a new building, consider vapour retarders between the foundation and slab (or earth). These will reduce the amount of moisture and other potentially harmful fumes that can pass through the slab and lead to poor indoor air quality. Reduce air leakage – Fill gaps around doors and window frames with sealant, spray foam or insulation. Replace any weather stripping on windows and doors that is damaged or cracked. If it is missing leading to exterior doors with a gap underneath, install door sweeps. 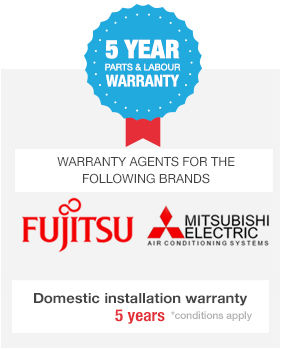 Ensure you have signed up to an annual maintenance contract for air conditioning systems. Consider even having them serviced before summer and winter to ensure best results. Regular maintenance will reduce the chance of a breakdown, especially when you need it the most. Breakdown can often be detrimental to your business. Regularly change or clean the filters each month during peak heating and cooling seasons. When filters are dirty it actually costs more to run the system because it’s trying to work harder. It also leads to poor indoor air quality which will likely concern your employees and customers. Also, have the technician inspect ductwork, pipes, and insulation. Escaping air via damaged ductwork is one of the biggest contributors to cooling loss in buildings. Ask your air conditioning dealer to install a programmable thermostat. This thermostat will help to automate your system around the clock and can be manually overridden when there is a change in event in your business. This ensures constant comfort and you can even set it so the smart thermostat can turn on your system an hour before you arrive so it doesn’t waste air on unoccupied space. Control direct sunlight in your workspace. This could be through the use of awnings, solar screens or films or vegetation. Keep exterior doors closed when running your air conditioning to ensure cooled and heated air does not escape. Plug leaks to prevent the escape of heated and cooled air with weather stripping and sealant. Weather stripping and sealant will also help you manage the ventilation and indoor air quality. A well designed and efficient commercial air conditioning system for Brisbane comes down to the selection of an experienced and competent contractor. Here are some tips to help you select a contractor. Looking to add or upgrade your Brisbane commercial air conditioning? Brisbane building owners can receive expert advice by contacting the H&H Commercial Air Conditioning Brisbane team today via our online form or by calling (07) 3276 1800.